Futurack : 2" stainless steel tubing with "Miata" inscription & tinted plexiglass. 100% polished stainless steel and mounting hardware which are rust and maintenance free! 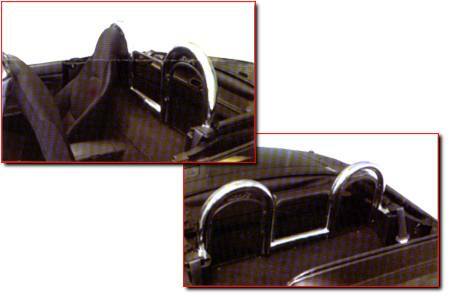 The Miata Futurack Style Bar will provide additional safety equipment and will greatly improve the looks of this already fantastic convertible. Call the store for additional information and pricing.